Simon Hannah is a writer, political activist, trade unionist and member of the Labour party. He is the author of "A Party with Socialists In It - a History of the Labour Left", published by Pluto Books/Left Book Club. 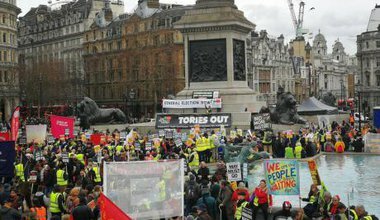 Corbynism – where has the mass movement gone? Despite the fighting talk, Corbynism has wasted the opportunity to transform Labour – and democracy – in a way that would be essential to deliver a radical programme in the face of opposition from capital.